2.decorate with gold, silver, or colored designs. 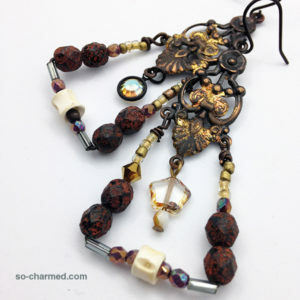 Still, undeniably a cool and slightly asymmetrical modern tribal baroque curation of sparkle and tone, with vintage Swarovski, Czech glass, gold leaf and tiny bone vertebrae. 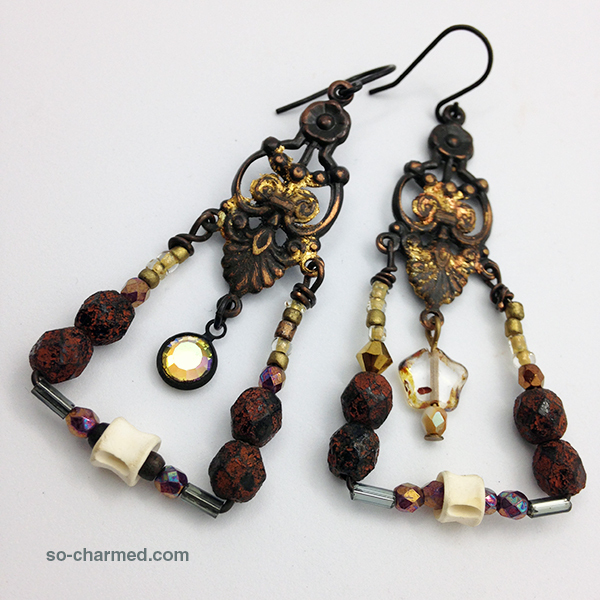 Warmth and light for your bohemian soul. 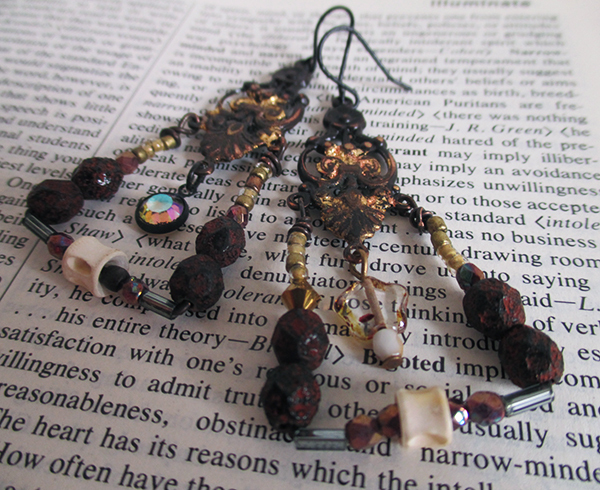 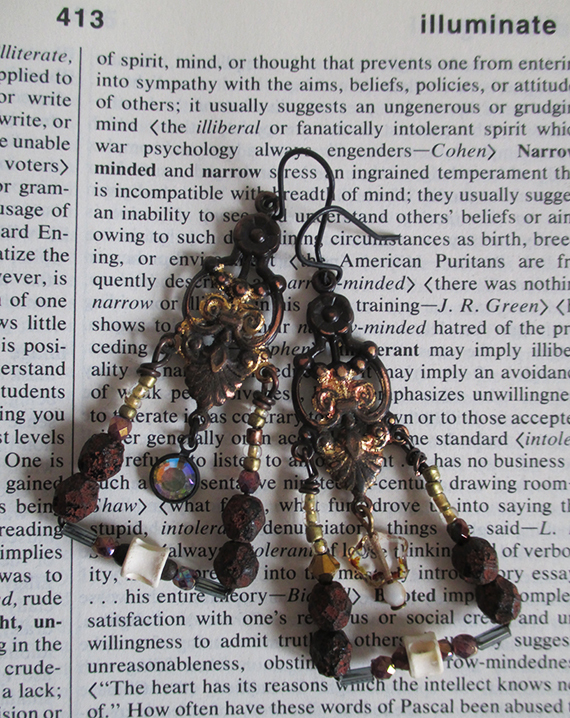 One of a kind, ready to go, with french ear hooks.